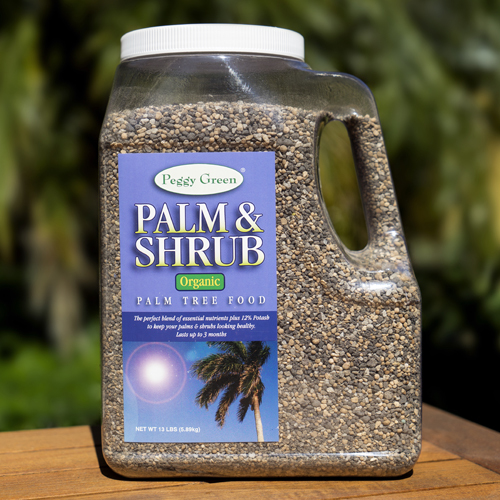 Peggy Green organic plant food and organic mineral fertilizer products are excellent for all types of gardening and plant growth. Use these premium fertilizer products on marijuana, flowers, orchids, ornamentals, vegetables, tomatoes and herbs, as well as palm tree, shrubs and lawn care. Choosing Peggy Green organic fertilizer and organic plant food products means you have opted to grow the finest marijuana obtainable. Your marijuana plants will thrive in this mineral rich soil. They will grow bigger, better and faster. And, they will remain healthy. 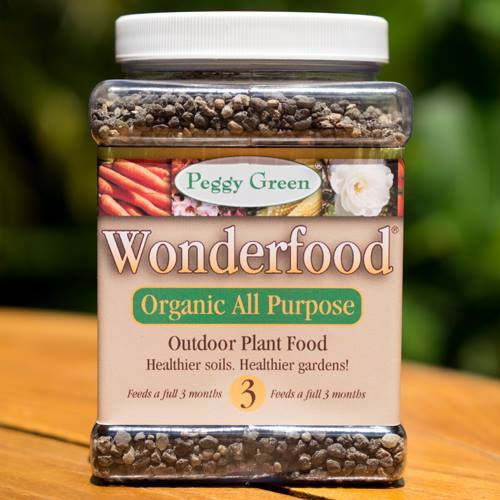 Use Peggy Green’s Wonderfood® or Peggy Green’s Flower Minerals for more buds and blooms. This organic marijuana fertilizer acts like a bloom booster for growing the best marijuana plants. When used on flowers and ornamentals, you will get more blooms, much greater flowering and healthier plants. 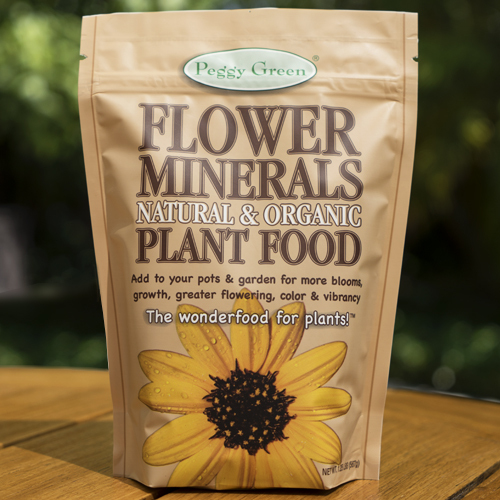 Peggy Green’s organic plant food Flower Minerals is completely non burning. And. because it will not burn, you can use this organic fertilizer in small pots indoor or out. 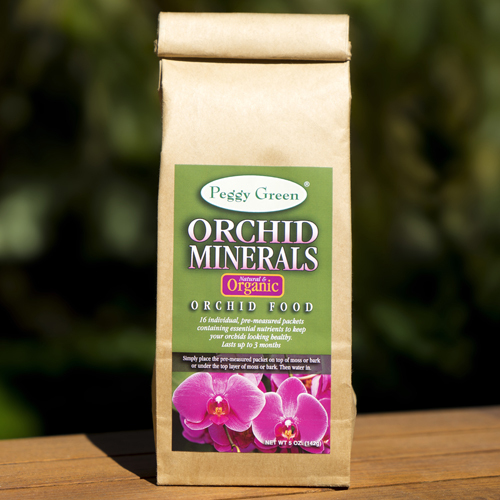 Organic Flower Minerals plant food is like giving vitamins to your plants. 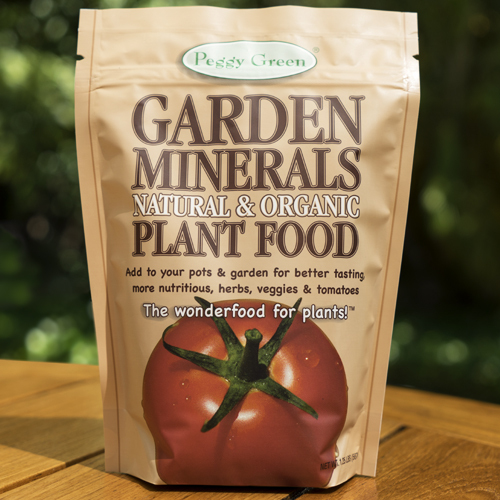 Peggy Green’s Garden Minerals is an incredible mineral rich organic vegetable fertilizer for all vegetables, tomatoes and herbs. Completely non burning, it is great for pots and containers, and can be used indoor or outdoor in the garden. With Peggy Green, you’ll get more flavor, taste, and much higher nutrition. Why minerals? They are the spark plugs of the soil. Hence, they jump start the other nutrients. This makes them available to the plant. As a result, flowers grow healthier. They are more beautiful. Vegetables and Tomatoes are tastier. They have more nutrition. And, they super charge your garden. Therefore, avoid products without minerals. Thus, it could have long term effects on your soil and plant’s health. Peggy Green is all about plant health and soil health. Our organic plant food products are the finest available. We never use fillers, synthetic chemicals or pesticides. Our products are safe for children and pets. And, Flower Minerals is no exception. 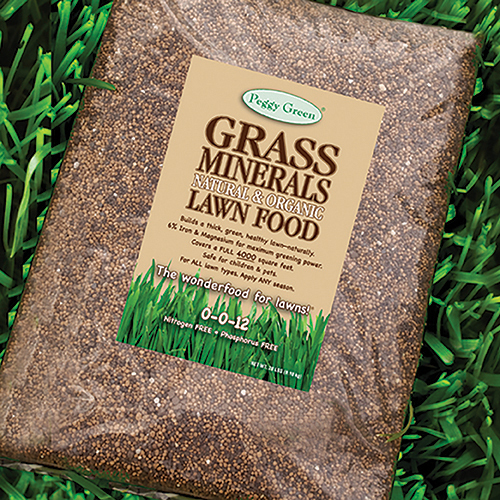 Organic plant food and organic mineral fertilizer. No chemicals. No pesticides. No runoff. Safe for children, pets, and the whole family.